Nancy Barbee is a member of the Rotary Club of Maysville, NC and served as District Governor of NC District 7730 in 2009-10. She has served her club, District, and Zone in many capacities. Her club service includes club president 4 times, International Service Chair, Youth Service Chair, Secretary, Foundation Advocate, and Membership Advocate. On the District level, she has served as DRFC, Annual Program Fund Chair, District Trainer, GSE Chair, International Service Chair and Global Grants Chair. She was instrumental in gaining partnerships from two Districts in India to provide $80,000 to feed hungry children in NC District 7730. She has also helped clubs in many districts partner with host clubs in countries around the world. Global Grants in the following areas have resulted in these continued partnerships in India and Ghana: heart surgeries, eye surgeries, literacy, vocational training centers for women, water and sanitation projects, micro-flush toilets, micro credit loans, orphanages, and medical missions. Nancy has served on the District Leadership Team since before her year as Governor. She has been a Rotary Leadership Institute Facilitator and PETS Discussion Leader. She served as GSE team leader to District 3250 in India in 2008. Nancy has served as RI President’s Representative both domestically and internationally. She has spoken in many district events throughout the United States and has been a guest speaker at the Polio Summit, Literacy, Foundation, and Water and Sanitation Summits in India. 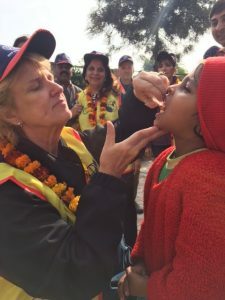 In 2010, Nancy led her first team of Rotarians to India for National Immunization Days for Polio eradication and has continued to lead teams every year since that time. She just returned from India this past January 2018 leading 24 Rotarians from 9 states and 13 districts. In total she has led more than 500 people on a life-altering experience. In 2014, she spoke at the Polio Conclave in Delhi during the celebration of the Southeast Asia Region being certified Polio Free by the World Health Organization. On the Zone level, Nancy has served on 5 Zone Institutes for Zones 33-34. She has served as Registration Chair for two years, Program Chair, GETS Leadership Training Seminar Chair, and overall Executive Chair. She served as a trainer at the International Assembly in San Diego for two years. (2014-2016). She was COL Representative for the 2013 Council on Legislation, Assistant Rotary Coordinator and Assistant Rotary Regional Foundation Coordinator. She served as Chair of the Zone 33 Peace Symposium in Chapel Hill for two years. (2012-2014). Nancy has served as ARRFC for three years. Beginning July 1, 2018, she will serve as RRFC for Zone 33. Nancy is the recipient of the Service Above Self Award, Citation for Meritorious Service Award, and the International Service Award for a Polio Free World. She is a Paul Harris Society Charter Member, Benefactor, Bequest Society Member, and Major Donor of the Rotary Foundation. Nancy holds a BS degree in Early Childhood Education and a Masters in Library Science from East Carolina University. She retired in 2007 from the state of NC after teaching for 30 years. She has been an educational consultant in the area of technology for schools domestically and internationally and continues to substitute in local schools to keep current with educational issues. She serves on the Board of Directors for the Jones County Economic Development Commission and as a Town Commissioner of Pollocksville, NC. She was instrumental in establishing the Trent Bridge Development, a non-profit 501(c) 3 for economic development in her small town. She currently serves as Chair of TBD. Nancy has served on the Executive Board of Directors for the United Way. 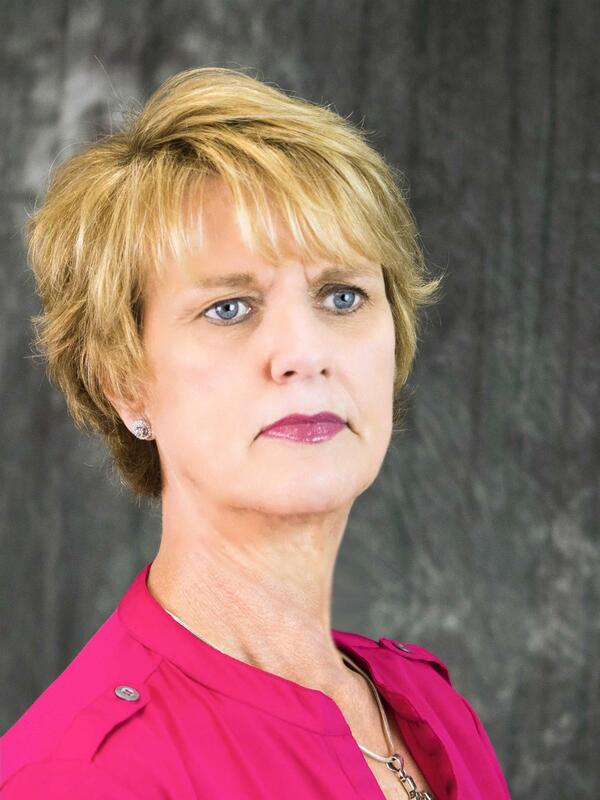 She established and served as Past Chair of the Jones County Task Force on Substance Abuse.